I’m taking a little time off from the blog and reviewing my most popular posts of 2013. So enjoy the wisdom of Addie Zierman today. Happy New Year!! Addie Zierman is one of those people I met through people here on this beautiful web of pixles. I’ve loved her words, and now I’m honored to share her thoughts on writing with you today. I just released my very first book: When We Were on Fire: A Memoir of Consuming Faith, Tangled Love and Starting Over. It’s the story of growing up “on fire” in the 90?s evangelical culture, burning out in Depression, cynicism and loneliness, and the slow work of redefining your faith. I began the book in grad school, finished the first draft in 2010, and am amazed that it’s actually OUT. On bookshelves. Being read by perfect strangers. It’s a humbling, beautiful experience, and I’m still processing it all in many ways. As I kid, I was painfully shy and a terrible loner, and I spent school recesses reading on the playground. I also got in trouble multiple times for reading sneakily at my desk during math time. Once a teacher took me out in the hall and told me that if I put half the effort into my math and science work that I did with reading and writing, I would be a much better student. And of course, I loved writing from the first moment I could string letters into words. The first person to tell me that I should be a writer was my first grade teacher, and I knew it then too in my heart. It’s hard, beautiful work, but I feel lucky in many ways to have known from my earliest memories what I want to be when I grow up.3. What is your writing practice, your writing routine? I’m a stay-at-home mom with little kids (two boys — four and two), which means that my routines are subject to the whims and tantrums of my children. My primary writing time is morning, and I’m pretty good at getting up really early (between 4 and 5) to work. I also rely heavily on friends and babysitters. I try to get out at least one or two mornings a week to write away from the kids. It doesn’t always happen, but usually, if I’m diligent, I can cobble together space for writing. It’s not ideal, but I also recognize that this is only for a time. Soon the boys will be in school every day, and there will be more space. For now, it’s about trying to be wise with the time I have and making the hard choice to give myself the space I need to write. I just finished J.R. Moehringer’s The Tender Bar, which I loved. I have a number of new books stacked up on my nigh stand to read, but as I begin working on my second book, I’ll probably revisit some of my Creative Nonfiction heroes and all-time favorite memoirs to fuel my work. This is, clearly, an impossible question. But I go back to all three of Mary Karr’s books again and again. (The Liar’s Club, Cherry and Lit). I also LOVE Joann Beard’s book of essays, The Boys of My Youth, and also Haven Kimmel. Her first book, A Girl Called Zippy, is very good, but I actually really loved her follow-up memoir about her mother, She Got Up Off the Couch. There are a lot of theories about how to “do” blogging and platform building. But I started out as a writer and not a blogger. I wrote my book way before I realized that I’d have to have a blog and a “platform” in order to sell it, and so I brought to my blogging life all the habits and hangups of my grad-school built writing processes. I spend a LOT of time crafting blog posts. They generally take me between 2 and 3 hours to write. Sometimes longer. In order to not have that make me INSANE, I had to learn to see blogging not as a separate thing from my “actual writing life,” but rather an extension of it. look at blogging as a craft. For me, it’s a way to practice and offer something small and beautiful to the world while also honing my skills, working on my language, learning to write something and let it go without obsessing over it for too long. As I begin work on my second book, I’m not sure what it’s all going to look like — how I’ll find the time to do everything. But I think that it can be done. Set alarm for 4. Push SNOOZE once. Or twice. (Depending.) Make the coffee. Read my morning prayers in front of my sunlamp. Write until the kids wake up. Get them juice, sit them in front of PBS, try to squeeze one more hour in. Drive to preschool or to the church women’s group or to a friend’s house. Go to Target or to Aldi. Buy the groceries. Throw in another load of laundry. Jot down ideas haphazardly as I go through my routines. Read a blog. Comment. Throw a few “tweets” out into the Internet. Answer a few emails. Make dinner. Put the kids to bed. Hang out with my husband. Watch bad TV. Read in bed, savor the words, realize that life is built of so much simple beauty. Breathe a prayer of gratitude for my version of it all. I’m from Minnesota, and I love going up to the North shore of Lake Superior to write. My dream writing space would be a little house right on the lake with a perfect view of all that cold, endless water. I think the harshest writing critique always comes from people who don’t know your work and whom you don’t really trust. This was the case with her. She only saw in my work the absence of the kind of humor that she expected — she didn’t see it for its understated dryness — for the kind of humor that I do best. It took me a while to get over the comment, but I’ve been part of really great critique groups and worked with really wonderful teachers who called out my particular strengths and helped me see how to make my work better. To me, THIS kind of critique is the greatest gift a writer can have — people who believe in your work and are willing to do the close reading and commenting that will help you ma ke it the best it can be. Once, at a conference, Anne Lamott said something along the lines of, “If you can’t find the time to write now, you’ll never be able to find it.” I think that’s absolutely true. It’s so easy to think that you’ll do it one of these days, when life gets a little less busy…but life NEVER gets less busy. If this is what you love, make the space for it in your current chaos. Right now. In the middle of everything. 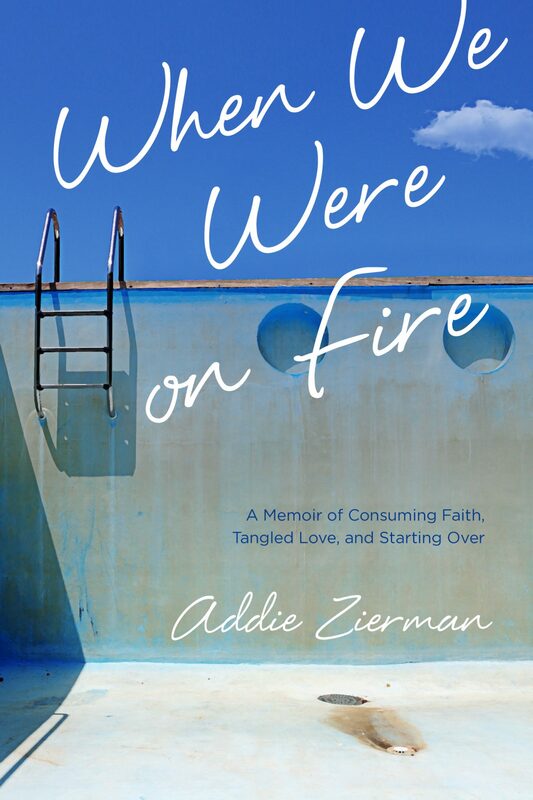 Addie Zierman is a writer, blogger and recovering Jesus freak. She recently published her debut book, When We Were on Fire: A Memoir of Consuming Faith, Tangled Love and Starting Over, which was named one of the five best religious books for 2013 by Publisher’s Weekly. 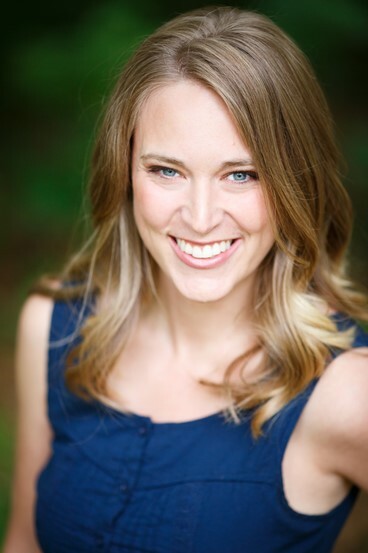 Addie lives in Minnesota with her husband, Andrew, and their two young sons. She can’t seem to stop drinking Diet Coke.